Hungarian oil and gas firm MOL more than quadrupled its net earnings in Q2 largely due to foreign exchange gains on its debts and strong downstream and upstream performance, Reuters reports. MOL said that its reported net income was Ft 114.7 billion ($729.1 million) for the quarter, 326% higher than a profit of Ft 26.9 billion reported in the second quarter of 2007. It came in above analysts' forecast for a net profit of Ft 107.65 billion in a Reuter's poll last week. MOL's operating profit dropped 3% to Ft 89.1 billion from a revised Ft 91.5 billion, but also topped analysts' expectations for Ft 83.15 billion. 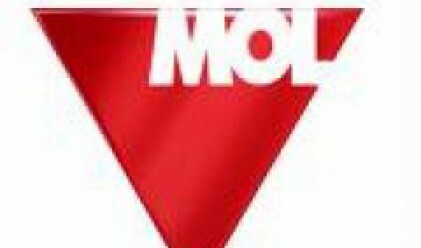 MOL posted a net financial gain of Ft 37.55 billion in the second quarter compared with a loss of Ft 34.8 billion a year ago as it had large unrealized foreign exchange gains on its foreign currency denominated debts due to the forint's appreciation versus the euro and the dollar. MOL said in the first six months it had foreign exchange gains of Ft 53.2 billion and had a Ft 8.2 billion unrealized non-cash gain on a share option agreement with Magnolia Finance Ltd that dates back to 2006. Exploration and production operating profit rose 30% year-on-year to Ft 30.6 billion due to high crude prices, despite a weak dollar and lower production volumes. Refining and marketing operating profit rose by 18% to Ft 69 billion due to sales volumes and a rise in diesel crack spreads, which worked in MOL's favor as MOL's product slate is geared towards diesel. MOL's 2007 acquisitions, Italian refiner IES and Croatian TIFON contributed to a strong downstream performance. The petrochemical segment had an operating loss of Ft 13.7 billion due to a rise in raw material prices. MOL's gearing dropped to 27.3% by the end of the second quarter from 35.6% at the end of 2007. Austrian oil and gas group OMV called off its unsolicited bid for MOL last week, ending a standoff but OMV still holds a 20.2% stake in MOL. MOL, which has a 25% stake in Croatia's INA, has said it would bid for INA shares not held by the Croatian government and is expected to give details of its bid by August 14.